Parents of restless children on airplanes are doing the unthinkable – enjoying their flights! “Benadryl can be helpful when you are taking young children on a plane,” says Dr. Harvey Karp, author of The Happiest Baby on the Block, and The Happiest Baby Guide to Great Sleep: Simple Solutions for Kids from Birth to 5 Years . 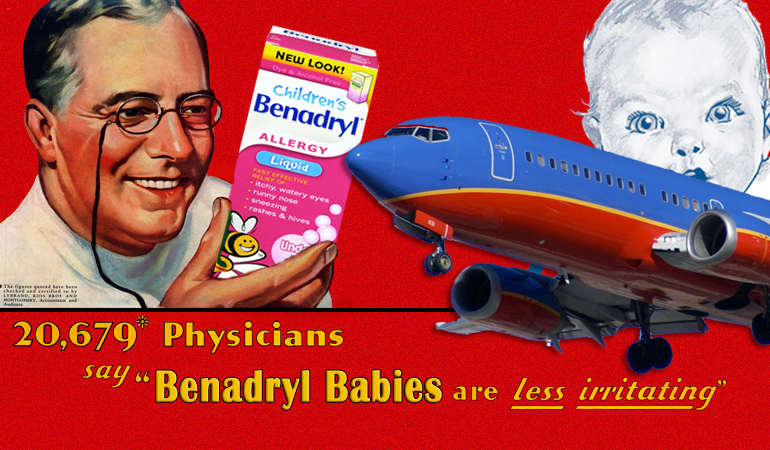 But he also warns that parents should try dosage beforehand because Benadryl has the opposite effect on some kids. While frequent usage of any drugs is a stupid idea, a strategic plan for helping your child cope with a difficult journey or stint indoors can include certain over-the-counter drugs to help everyone enjoy themselves a little more.